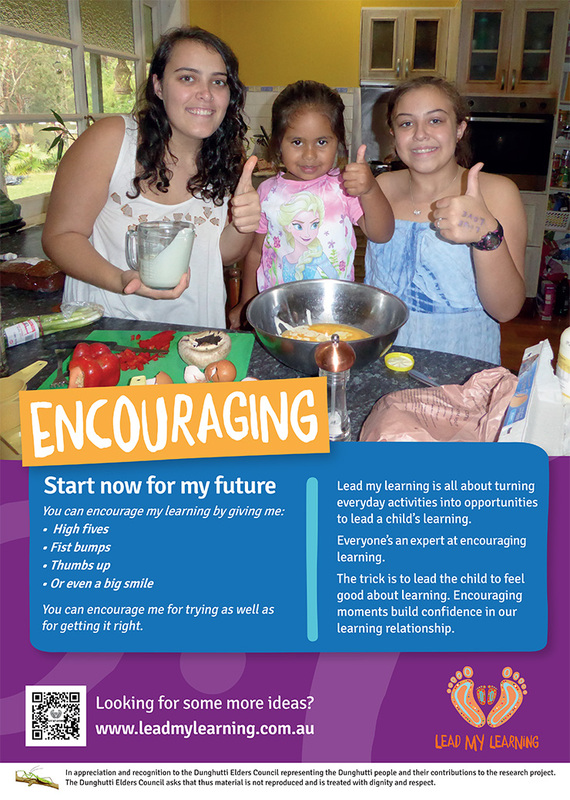 Lead my Learning is all about turning everyday activities into opportunIties to lead a child's learning. Children love to learn and they'll love the moments when you lead their learning. You can start now. 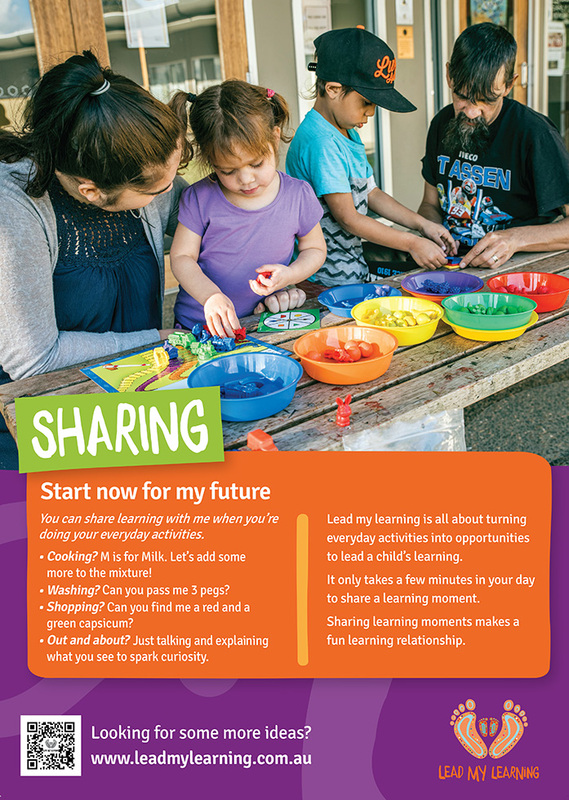 Sharing and encouraging learning creates a fun learning relationship to builds a child's future. Any time is a good time to start! It only takes a minute to create a learning moment. Learning moments happen in our every day life. Share and Encourage - It's that simple! You can share learning with me when you’re doing your everyday activities. Cooking? M is for Milk. Let’s add some more to the mixture! Washing? Can you pass me 3 pegs? Shopping? Can you find me a red and a green capsicum? Out and about? Just talking and explaining what you see to spark curiosity. It only takes a few minutes in your day to share a learning moment. Sharing learning moments makes a fun learning relationship. You can encourage me for trying as well as for getting it right. The trick is to lead the child to feel good about learning. 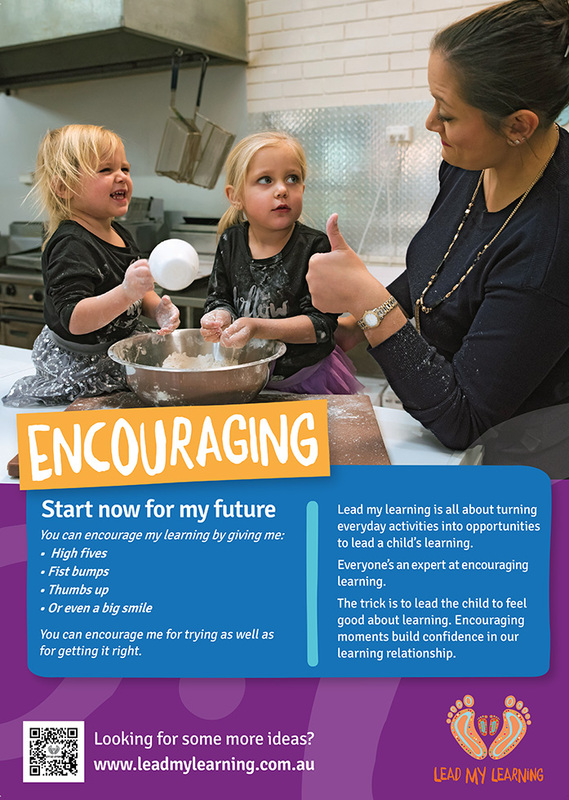 Encouraging moments build confidence in our learning relationship. Hanging up the washing is an opportunity for a learning moment. It only takes a minute to Share what you are doing. "Look, I've got two blue pegs for this shirt"
"Can you pass me two blue pegs please?" Shopping is something we do often and has so many opportunities for learning moments. Talking about where products come from or explaining what things are! 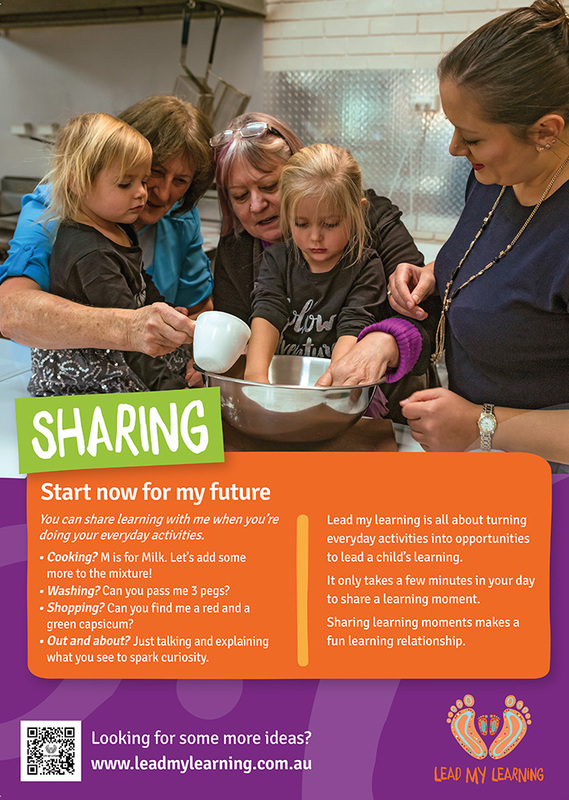 Children enjoy being involved and participating and cooking is a great one to Share and Encourage. 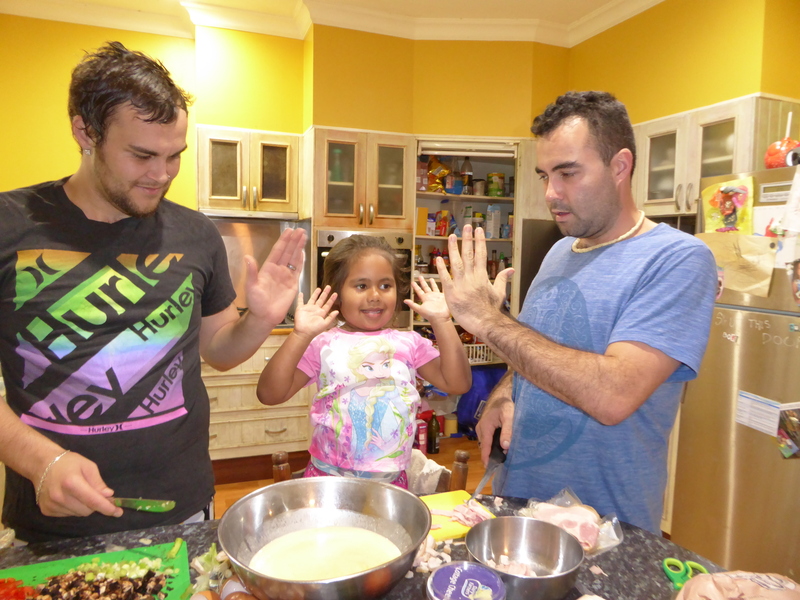 "Let's mash these bananas.. Yum Yum"
"M is for milk - let's add some to the mixture!" Sporting events, travelling in cars, catching buses or trains, waiting rooms, at the park, walking - all great opportunities to create learning moments.